Personal Assistance (P.A): A personal assistance is also known as a private secretary. The personal assistance performs all the routine works on the behalf of the executive officer of office chief as per the direction given to him. He is the assistant of a particular executive or office chief. He is the assistance who usually maintaining confidential records, handles telephone, visitors, and emails, drafts important confidential documents, arranges meeting and seminars and reminds the executive or chief for his daily schedule. The personal assistance is appointed by ministers, secretary of a ministry or department and office chief of a government office. The personal assistant is the private secretary who is to perform all the clerical functions on behalf of the chief. Receptionist: The receptionist is a subordinate lady staff appointed for the reception of inquiry section to handle the telephone, visitors, and customers. She has to make introduction among the visitors, tell them about objectives, functions, productions and services of the organization. She has to serve the visitors with tea and coffee, cold drinks, newspapers, and magazines while they are waiting to see the executive or office chief. She should always be willing to pay attention and devote herself to the service and satisfaction of the visitors and customers. Sectional Clerk: A large organization establishes different sections and departments to carry out production, marketing, finance, personnel and accounting functions. These sections are handled by the sectional or departmental chief. The sectional chief cannot handle all managerial and clerical works of his section alone. He requires a numbers of staff to take assistance or support in performing and completing the sectional or departmental jobs smoothly. The sectional clerk is a junior office staff who is assigned a particular work in a particular section to assist the sectional chief carrying out the sectional activities. 1. Academic qualification: The Academic qualification is the formal educational degree which is awarded by schools or boards or universities. In order to be competent office assistant and to make himself eligible for a higher post, the assistant should try continuously for gaining higher academic qualifications. In government offices, to hold the post of Nayab Subba and Kharidar the minimum academic qualifications are Intermediate and S.L.C respectively. 2. Training: Training is the formal process of preparing a person for a particular job. It helps to develop knowledge and skill and build confidence for performing the assigned job more efficiently. The person should take formal training in computer, language, shorthand, correspondence, accounting and secretarial courses to be a competent assistance. 3. Experience: Experience is the process of gaining additional knowledge, skill and ability by observing and doing the particular job. It is the way of practical learning to do a job. It makes the person mature for doing the job. The experience makes a man perfect in the job. An experienced staff is like a jewel that is valued as great assets of the office. 4. Knowledge of accounting: Every office performs a large number of financial transactions daily. One of the important functions of an office assistant is to keep systematic records of such financial transactions. For these, he requires a fundamental knowledge of principles and practices of accounting. A person having a fundamental knowledge of accounting is generally preferred by the office as its office assistance. 5. Knowledge of rules and regulations: The office assistance should have a sound knowledge of financial rules and regulations to perform and record financial transactions. He should be familiar with administrative activities. He should have the basic knowledge of the law of contract, law of agency, law of indemnity and law of company incorporation and management. Office assistant refers to a subordinate staff that performs routine jobs to assist the sectional chief and office chief in their daily official works. Nayab, Subba, Kharidar and Mukhiya are the offices assistance in the government offices. The personal assistance performs all the routine works on the behalf of the executive officer of office chief as per the direction given to him. The receptionist is a subordinate lady staff appointed for the reception of inquiry section to handle telephone, visitors and customers. A large organization establishes different sections and departments to carry out production, marketing, finance, personnel and accounting functions. Explain briefly the types of office assistant. Personal Assistance (P.A): A personal assistance is also known as a private secretary. The personal assistance performs all the routine works on the behalf of the executive officer of office chief as per the direction given to him. 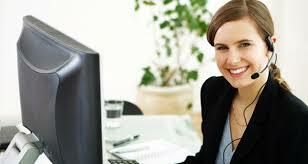 The personal assistant is the private secretary who is to perform all the clerical functions on behalf of the chief. Receptionist: The receptionist is a subordinate lady staff appointed for the reception of inquiry section to handle the telephone, visitors, and customers.She should always be willing to pay attention and devote herself to the service and satisfaction of the visitors and customers. Sectional Clerk: A large organization establishes different sections and departments to carry out production, marketing, finance, personnel and accounting functions. The sectional clerk is a junior office staff who is assigned a particular work in a particular section to assist the sectional chief carrying out the sectional activities. Write in short about personal assistant. A personal assistance is also known as a private secretary. The personal assistance performs all the routine works on the behalf of the executive officer of office chief as per the direction given to him. He is the assistant of a particular executive or office chief. He is the assistance who usually maintaining confidential records, handles telephone, visitors, and emails, drafts important confidential documents, arranges meeting and seminars and reminds the executive or chief for his daily schedule. The personal assistance is appointed by ministers, secretary of a ministry or department and office chief of a government office. The personal assistant is the private secretary who is to perform all the clerical functions on behalf of the chief. Write in short about receptionist. The receptionist is a subordinate lady staff appointed for the reception of inquiry section to handle the telephone, visitors, and customers. She has to make introduction among the visitors, tell them about objectives, functions, productions and services of the organization. She has to serve the visitors with tea and coffee, cold drinks, newspapers, and magazines while they are waiting to see the executive or office chief. She should always be willing to pay attention and devote herself to the service and satisfaction of the visitors and customers. Write in short about sectional clerk. A large organization establishes different sections and departments to carry out production, marketing, finance, personnel and accounting functions. These sections are handled by sectional or departmental chief. The sectional chief cannot handle all managerial and clerical works of his section alone. He requires a numbers of staff to take assistance or support in performing and completing the sectional or departmental jobs smoothly. The sectional clerk is a junior office staff who is assigned a particular work in a particular section to assist the sectional chief carrying out the sectional activities. A junior office staff who is assigned a particular work in a particular section to assist the sectional chief carrying out the sectional activities is called ______. Which one of the office personnel should always be willing to pay attention and devote herself for the service and satisfaction of the visitors and customers? The private secretary who is to perform all the clerical functions on behalf of the chief is ______. The formal educational degree which is awarded by schools or boards or universities is called ______. The process of collecting and preserving important letters and documents in a systematic manner for future reference is called ______. While handling the telephone, the office assistant should be ______. Office assistance should handle ______ properly. Any Questions on 'Office Assistant '?